We want to transform the way energy providers and customers look at energy consumption. Using energy data collected via smart meters, we seek to analyse user behaviour to derive insights that can make the energy sector more efficient. SMAP Energy originated from research at the University of Cambridge. In collaboration with our academic and industrial partners, we’ve developed novel machine learning and AI techniques and products that take advantage of growing smart meter data reserves. We’ve built these insights into applications on our flagship software product – Smart Meter Analytics Platform. 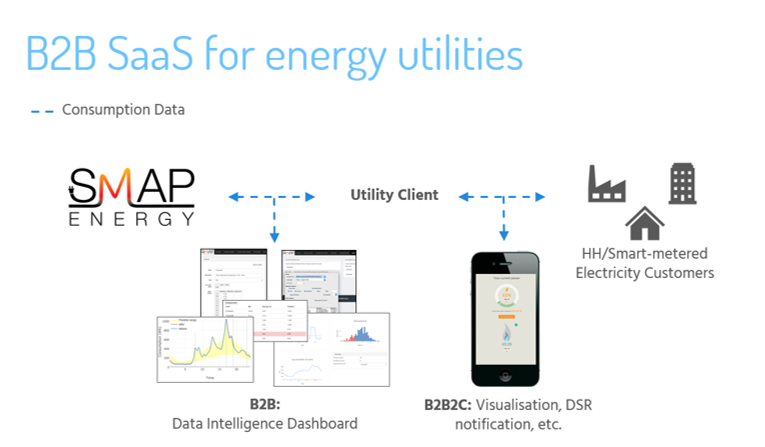 Smart Meter Analytics Platform (SMAP) is a SaaS solution that allows utilities to analyse energy consumption data using advanced machine learning techniques to better understand customer behaviour.